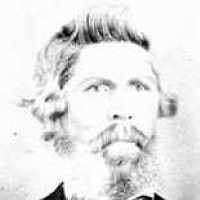 He was part of one of the Mormon Battalion sick detachments before he returned eastward. He crossed the plains again with his family in 1852. "17th Company," Deseret News [Weekly], 18 Sep. 1852, 2. Journal History of The Church of Jesus Christ of Latter-day Saints, Supplement after 31 December 1852, 108.